First, there’s the change of season — often as harsh as it is lovely and unpredictable. And there’s also my birthday, which arrives on the 3rd of the month. But, in recent years I’ve also come to love the trend of “No Shave November” mustache and/or beard campaigns. As a not-particularly-athletic person who admires the many individuals who run marathons to raise money for various organizations and groups, I think it’s important to have another sort of venture that individuals can coalesce around for a good cause. And frankly, there are some of us for whom facial hair growth is a unique talent. Sort of like calligraphy or crafting gem sweaters. So, this year, I’ve decided to take up a “No Shave November” challenge of my own. After starting the month with an already-pretty-unruly beard, I’ve pledged to donate $5 (or the price of a really fancy cup of coffee) to the Greater Chicago Food Depository for every day I can manage to resist the urge to trim this baby down. I will be documenting my progress both here and on my Tumblr blog. 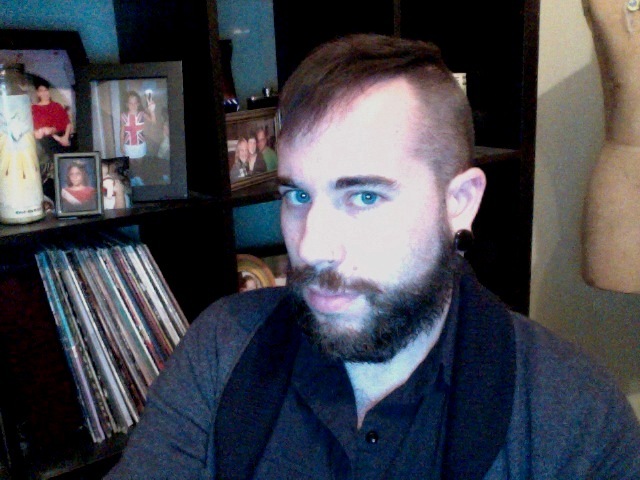 Beardiness as of Nov. 7. Seven days in. $5 a day to the GCFD. $35 pledged thus far. So, why a food bank rather than any other cause? A study released earlier this year estimated that just over 20 percent of Chicagoans struggle with food insecurity, meaning that are unsure where their next meal will come from or how they will pay for it. They go to sleep hungry. In some parts of this highly racially and economically segregated city, that number is as high as 40 percent. As a result, groups like the GCFD have been overwhelmed with record-high demand at a time when their support at the federal, state and individual donor levels is declining. I feel like this is an overlooked issue that could only get worse with the current state of things. I wanted to do something about it. If you feel so inspired, I urge you to consider making a contribution of your own to the GCFD or perhaps another food bank or group working to fight food insecurity. You can even donate a certain amount for each day my beard continues to grow. If I make it the entire month and you donate 50 cents for each day I grizzle it out, that means $15 for the food bank. Here’s hoping we can all help some folks out this month. Please let me know if you decide to join in on my little experiment, so I can give you some much-deserved props. Thanks for your support.